If your child is ill and requires after hours attention, we recommend Twilight Pediatrics. Twilight Pediatrics is open Monday through Saturday 6:00pm - 10:00pm for urgent needs. These visits do not require an appointment. Walk-ins are treated on a first come first served basis. 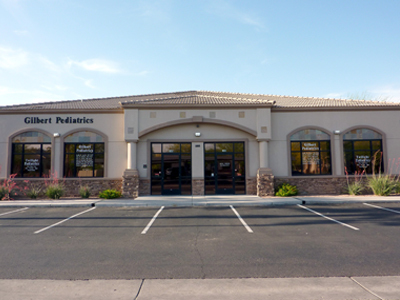 Twilight pediatrics is open to all patients and accepts most insurances. Please call 480-892-3880 after 6:00pm for more information. Directions: East of Greenfield Road, South Of the US 60, North side of Baseline Road.